1991. The Cold War is over. Yet a recording has been smuggled out of the Soviet Union by one of the few remaining moles in the Kremlin. The CIA's foremost Soviet analyst believes the transcript is the most important piece of intelligence that has ever crossed his desk. It suggests that a cabal of Kremlin insiders are plotting a coup, to overturn the Soviet regime from the inside. This is the forth book written by Joseph Finder that finds it's way across my path. This time round, it's in the form of an ebook. This time round, the storyline is slightly different than usual. Moscow Club took readers on into the world of espionage and high level treason and assassination and plots and cold war and such. To me, it was rather confusing with the Russian names to keep track of which is totally foreign to me. However, it's pretty thrilling and there's a revelation towards the end of the story that I didn't see coming somehow that makes the story worth my effort and time. 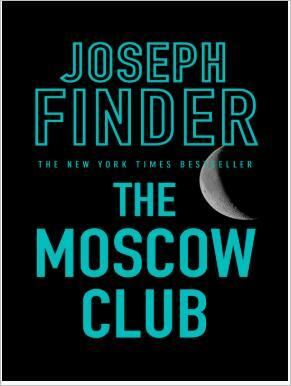 So, if you like espionage in the like of Forsyth, Follet, and such, you will like The Moscow Club.